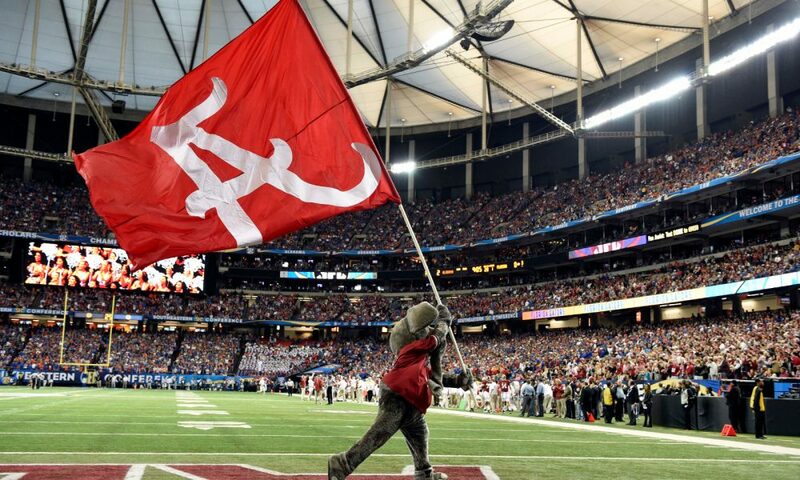 [UPDATED]: According to sources, Touchdown Alabama Magazine has learned that Holmon Wiggins has been interviewed by Nick Saban for the wide receivers’ coach position at Alabama. Wiggins is now expected to take the job and replace the departed Josh Gattis, who accepted an offensive coordinator role at Michigan. Wiggins spent the last three seasons at Virginia Tech and prior to that, he served as wide receivers’ coach at University of Memphis from 2012 to 2015. Although three names are in the mix to coach wide receivers at the University of Alabama, two individuals are being highly considered. Lance Taylor, who played receiver at Alabama from 1999 to 2003 and was a graduate assistant under Nick Saban from 2007-08, is one of the names. He had two stints with the Carolina Panthers of the National Football League and was exceptional in getting guys to work with Cam Newton. Should Taylor not be rewarded the opportunity to return to his Alma mater, watch Holmon Wiggins of Virginia Tech. He has become the rising name in the conversation to replace Josh Gattis, who accepted an offensive coordinator position at University of Michigan, and has a lot of experience. Wiggins has served seven years coaching receivers from 2012 to 2018 at both Memphis and Virginia Tech. A native of Los Angeles, Calif., he was under Justin Fuente as head coach for both schools and mentored 13 players to total at least 500 yards receiving between the two. Despite having to grow a roster of young talent for the Hokies, Wiggins tutored a 1,000-yard weapon in Isaiah Ford in 2016. He finished with 1,094 yards receiving with seven touchdowns on 79 receptions. Wiggins would help six others generate 500-plus yards as pass catchers. At Memphis, he was pivotal in the development of Anthony Miller. Before becoming a two-time 1,400-yard target in 2016 and 2017, Wiggins paced Miller to 694 receiving yards with five scores on 47 catches in 2015. Prior to leaving for Virginia Tech, he guided six wide outs from the Tigers to at least 500 yards. Upon looking at Alabama, all of its big-play guys return. Jerry Jeudy will be back as a junior, following his 1,000-yard (1,315) campaign that ended with him winning the Fred Biletnikoff Award last season. The trio of Henry Ruggs III, DeVonta Smith and Jaylen Waddle all finished with over 500 yards and averaged over 16 yards per reception. Wiggins fits perfectly in Tuscaloosa, but we’ll see what happens. It is down to him, Taylor, and possibly Butch Jones for receivers’ coach.